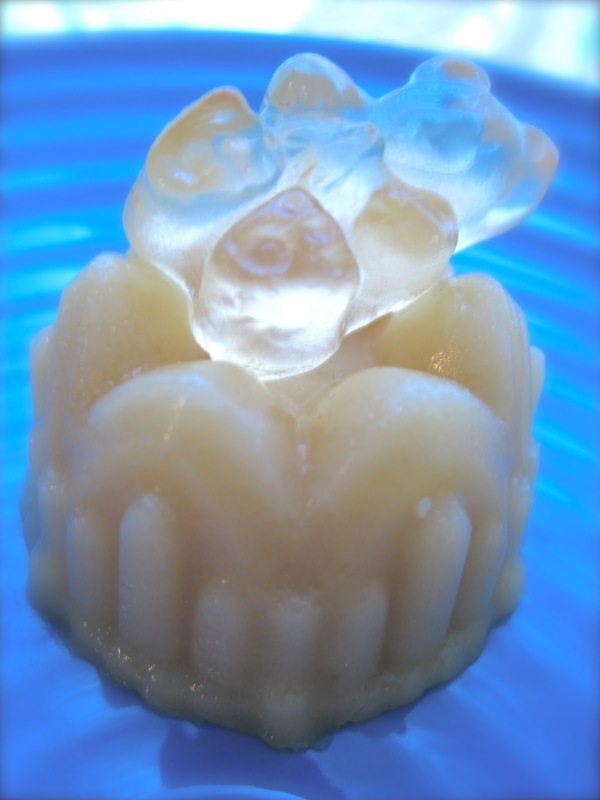 Pineapple gummy bears soaked in "Malibu"
Pineapple flavored gummy bears infused with coconut rum, and gummy bears infused with Kraken, black rum. These are placed upon a delicious pineapple coconut jello shot, made with coconut cream, crushed pineapple, and the very rums we used to soak the gummy bears. The these jello shots were delightfully not so sweet, and the coconut milk gave them a lovely creamy texture. 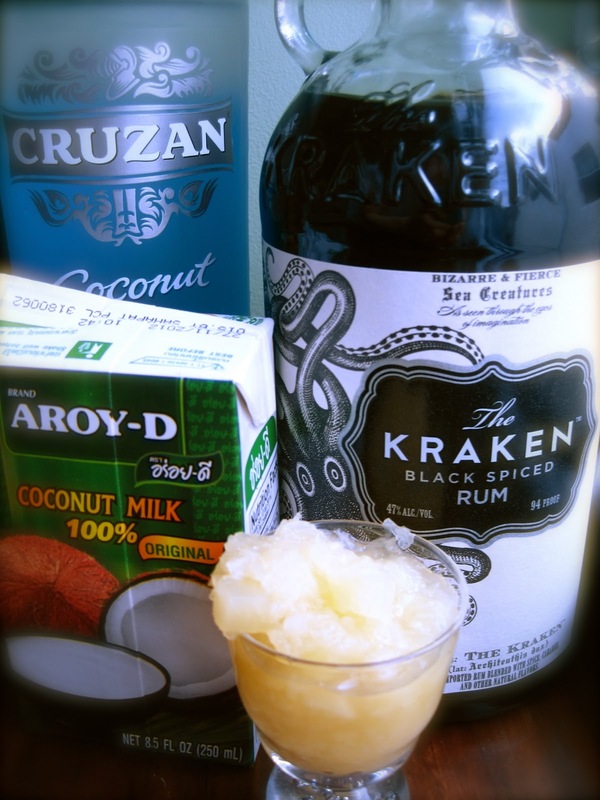 We used a dark, spiced rum, Kracken, to cut the coconut rum* and give the shot's flavor more "dimension". 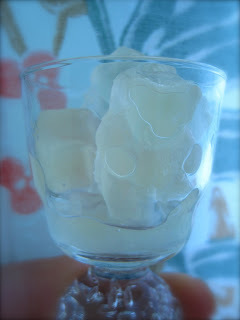 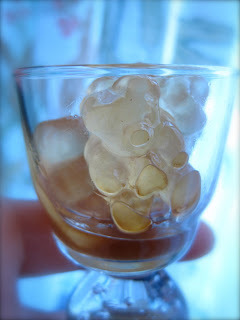 We soaked the gummy bears for 3 days, and they absorbed the coconut rum a little quicker than the Kraken. 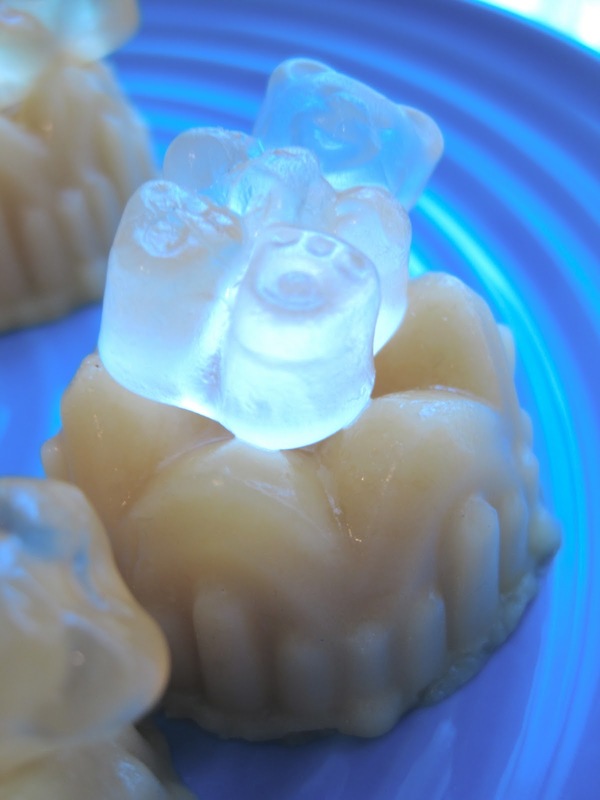 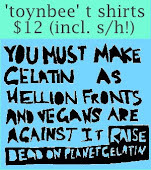 Credit where it is due: we had seen vodka soaked gummy bears on instructables.